You set the hourly and daily rates for your car. To maximise your earnings we recommend pricing based on the market value of your car, location, and competition. Your car's rates can be between $4 and $100 an hour, and between $20 and $500 a day. Our pricing recommendations vary based on car type and age. Starting with a competitive hourly and daily rate will help your car gain momentum with bookings in the first 6-12 months. You can experiment with increasing it later if you are finding your car is in high demand. Checking out your competition is a good way to get an idea of going rates in your area. 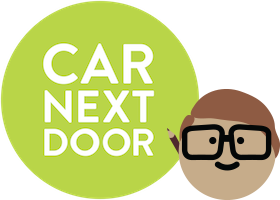 Head to our search page and see what other cars are listed on Car Next Door near you. If there are cars similar to yours, see if you can match or beat their prices, especially when you're first starting out. We recommended erring on the side of lower pricing. A slight increase in rates does not make a significant difference to your total earnings - but getting bookings in the first place certainly does! All trips are billed at the rates that were in force at the time the booking was made. So if a Borrower books a trip and then you change the rates, this won't affect the pricing for their trip. Which distance rate should I choose? How can I maximise my income? How do I post an ad on Gumtree for my car? How do I post an ad on Facebook Marketplace for my car?